Attendance marking has moved from manual punching to biometric and attendance apps within a short span of time. Thanks to market competition, HR and managers have plenty of options to choose the best. 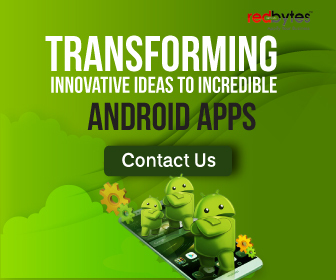 New companies are coming with innovative technologies with each one offering solutions better than the other. 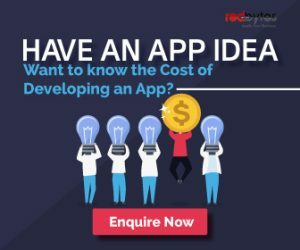 Selecting the perfect app for your organization can be confusing in this industry. For this reason we have listed top 15 employee attendance apps. This will give you an overview of technologies in the market and what each player has to offer at different price points. 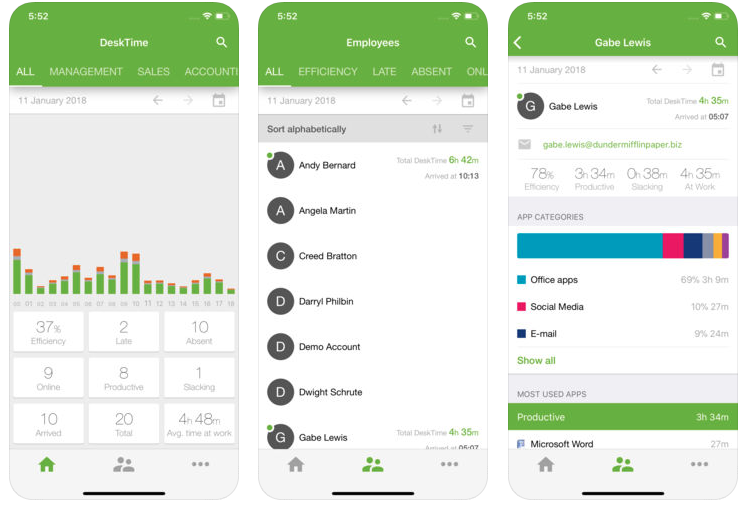 Here are top 15 Employee Attendance Tracking Apps for your company. WiFi Attendance is a cloud based attendance tracking system that uses office WiFi to mark employee attendance. Employees within the pre-set office WiFi range can mark their attendance through the app. They can also apply for leave and view calendar in the app. Using WiFi can avoid problems such as punch-in failures and buddy punching that are common in biometric and usual attendance apps. It also makes live tracking possible so that you can know the real time location of each employee in the premise. Because of live tracking, information on working hours and productivity is readily available with managers. This information can be used for leave management or easily integrated with payroll systems. Unique Feature: Ease of setting up is the biggest advantage of WIFi attendance. Since every office already has a WiFi network, it is easy to plug in this solution and get started with hassle-free tracking. It requires zero infrastructure investment and gives accurate time tracking. Pricing: WiFi Attendance is free for up to 10 employees. The standard plan for up to 40 employees costs $1 per month per employee and Fast plan for 40- 100 employees is for $1.5. Superfast plan for more than 100 employees is $2 per month per employee. It includes app customization, chat facility and integrated help desk. Edsys has numerous services for schools, colleges and universities. Timetable and attendance management is just one of the many services they offer such as parent portal, school bus tracking and school ERP. They offer a simple solution in form of mobile app that can mark attendance of students, faculty as well as staff. Teachers can easily see their class schedule, student lists and calendar. It also has timetable scheduling service which is a big headache for educational institutions. Unique Feature: If you run an educational institute, Edsys is the right solution for you. Since they specialize in the education sector, they understand your specific needs. Time Clock Wizard is a cloud based solution offering more than just attendance tracking. They have all the features related to attendance such as payroll calculation, leave management and employee scheduling. Since the service is cloud based it is possible for employees and managers to access dashboard from any device and any place. For employee clock-in, managers can set geo-fencing so that clock-in is only possible in office or on site. This prevents incidences of proxy attendance. In fact, with the clock-points feature manager can know the exact location of clock-in using device GPS and IP address. Unique Feature: Photo Capture Feature. Time Clock Wizard captures photo of employees at the time of clock in. This prevents buddy login and promotes honesty in remote office locations. Pricing: They offer a Value, Pro and Enterprise plan. The Value plan is great for any business just wanting the basic time tracking feature. At $ 14.95 a month you can track attendance for unlimited employees. With the Pro and Enterprise version you have many more useful features such as employee scheduling, payroll reporting, photo capture, real time activity tracking etc. Pro plan is for up to 50 users and priced at $29.95 per month and the enterprise plan supports unlimited employees for $99.95 per month. All plans have a 30 day free trial period. Aqua app is positioned more as an HRMS rather than an attendance app. It gives managers detailed information on aspects such as employee check-in time, leave balance, late arrival, overtime, etc. Location tracking is via the app and it is possible for managers to view location log and distance travelled by employees. Attendance app is supported by multiple technologies such as biometrics, geofencing, and beacons. 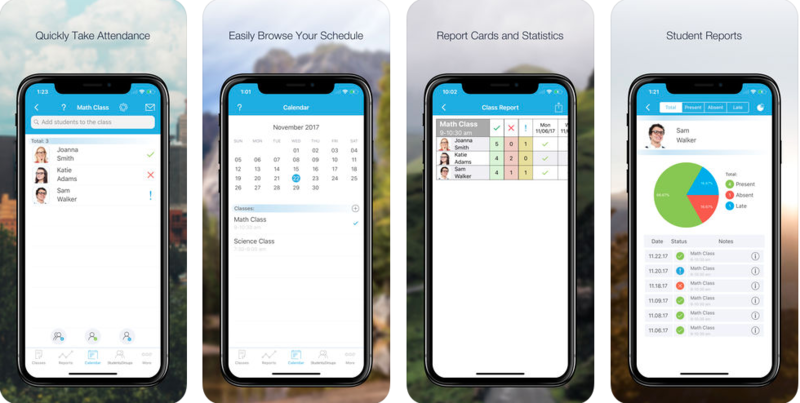 This is simple attendance app that works in both iOS and Android smartphone. The admin generates profiles with QR codes for each employee. This QR quote is tracked using an Apple device at office. Unlike other solutions on the list it does not have live location, payroll and a plethora of other services. Unique Feature: This is a simple to use app with intuitive UI. It’s great for start-ups who don’t want to bother with too many features. It’s also great for Generation X users who like simple app that does the job without other distractions in it. Pricing: The app is free for up to 5 employees and 1 manager. Unlimited employees and managers are allowed at just $5 a month. Zoho People has many HR processes offered as a service through their elaborate web portal. Their services include leave management, job scheduling, HR documentation etc. As far as attendance is concerned, it can be plugged into current biometric system or employees can also punch-in using web portal or Zoho app. Geo-fencing can be set-up using IP address to restrict location of check- in. Unique Feature: The advantage of this solution lies in freedom of customization. HR can define their function and processes in the dashboard and generate customized forms, documents and reports. Attrition reports, job hour charts and attrition trends are some of the reports that are extremely helpful to HR. Pricing: ZOHO People has 4 plans namely; Essential HR, Professional, Premium and Enterprise. The rate varies from $.83 per employee to $4.16 per employee per month. The higher end plans have performance appraisal, customized forms and attendance and shift scheduling which are not a part of low-end plans. They also offer a 15 day free trial period. This solution was built for school attendance but it is now used for educational events and employee attendance too. It’s essentially a digital attendance register where teachers or employers can enter student / employee data on cloud and access it anywhere and anytime. Teachers can also add grades in this online register. Other features like live location or employee punch in is lacking in this. It’s suitable for employers who want to maintain a record on cloud without any action required on employee’s part. Pricing: This solution is free for now. 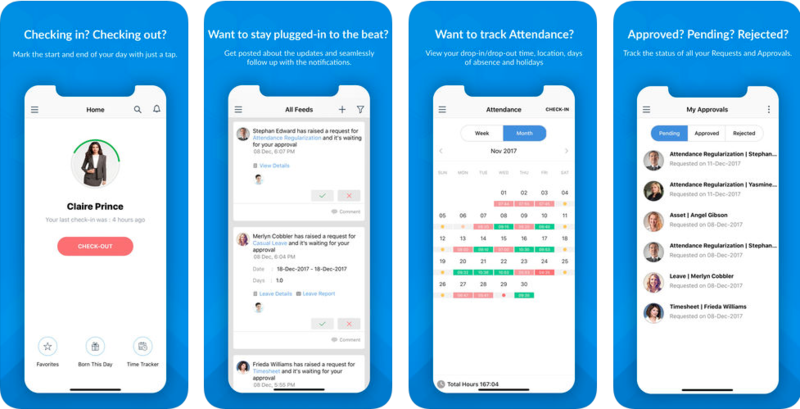 Another simple cloud based app to track attendance. The technology is simple. Manager can sign up their company along with the employee list and generate a bar code for each employee. The print out of this bar code is given to each employee which they have to scan to punch in and punch out at office. Bar codes can be scanned with any smartphone or tablet that can be kept at the office reception. Managers can login to mytimestation.com and see a full report time and attendance reports for employees. It’s also very easy to export the reports in other payroll software. Geographical location can be mapped my managers to allow punch-in only in office locations. 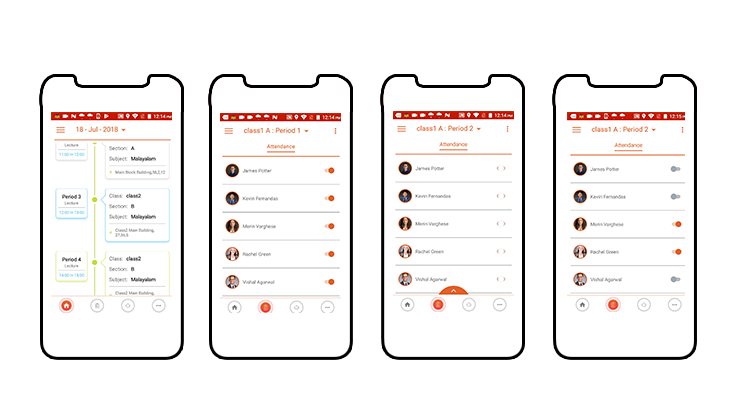 There is a possibility of buddy punching in this app although it comes with its own unique feature. Unique Feature: The good thing about this app is that it can work offline too! The device records all the punch-ins and syncs the data when network is available later. This makes it perfect for tracking attendance in multiple remote locations for companies in civil construction or social services. Pricing: The plans range from $19.95 a month for 20 employees to $59.95 a month for 200 employees. All plans have a 30 day free trial period. Kronos is a business with a long history and reputation. The company was one of the pioneers in time tracking technology with the first patented microprocessor based time clock to its credit. Since then Kronos has grown a suite of services in human capital and workforce management. Read also : How To Create a GPS Tracking Application? They have a comprehensive set of HR solutions that cater to mid size and large companies. In fact, they have five solutions just under attendance and time tracking. Kronos strategy is solution based offering rather that product or service offering. For this reason you may end up buying a suit of solution for your company that is an expensive upfront investment in HR. 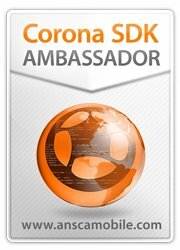 Unique Feature: Kronos strength is its reputation and a comprehensive HR solution package for businesses. Time Intelligence is a pre-build collection of solutions offered by Replicon. 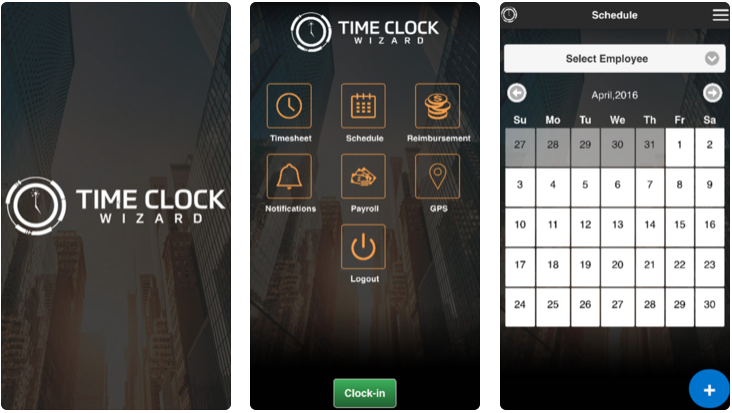 The company looks at time as a valuable commodity and has solutions for time tracking, scheduling, payroll and everything else related to time management. Services can be brought in a pre-packaged of the shelf solution or custom built to meet your company’s unique requirement. It has all the usual capabilities of a time tracking service such as cloud storage, advanced reporting, biometric integration and mobile app tracking. Unique Feature: Replicon is working with cutting edge technology like AI powered self service, face recognition and much more. They have the likes of FedEx and Deloitte among their customers. Pricing: Price on request for demo. 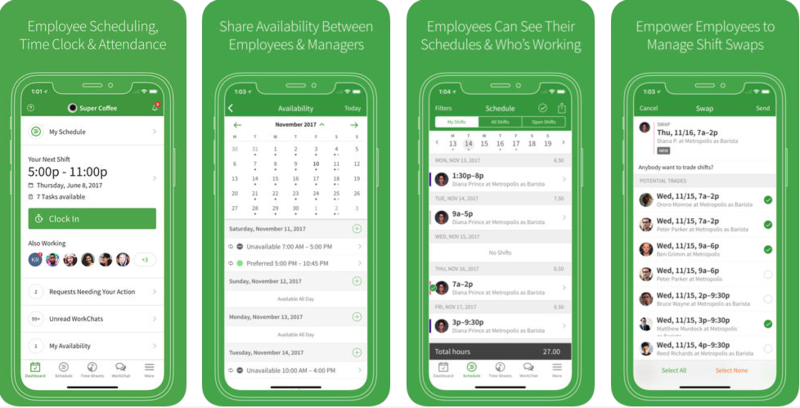 When I work is an easy app that managers can use to schedule shifts, budget labour costs and track attendance. Managers can assign shifts to workers and also manage shift budgeting through a simple web based application. The app is highly communicative with chat features and ability to see when employees have seen their work schedule. On the other hand employees can mark their attendance, know work schedule and raise request for day offs. The clock-in is GPS enabled to ensure honest and avoid attendance frauds. Unique Feature: The app has an intuitive User Interface and is free for up to 75 employees. Pricing: The basic features of app are free for usage by up to 75 users. Attendance feature is priced at $1.5 per user per month. For companies above 75 employees, price is available on request. Unique Feature: prima ERP is used in more than 100 countries and is available in more than 7 languages. This is a good app if you want employee monitoring along with time tracking. This cross platform app tracks time spent on each tasks as well as idle time. Screenshots of systems can be captured and web usage can be tracked. This means it’s possible to catch an employee spending too much time on Facebook and intervene. Automatic alerts for tasks also ensure that employees are kept at their tasks. Unique Feature: Apart from accurate employee monitoring the advantage of Time Doctor is that it integrates seamlessly with most of the payroll, HR ERP and project management platforms. This is time management web app that tracks not only attendance but also the time spent on each task. Employees can log-in their tasks through a convenient desktop app. Everything from break time to meetings to app usage can be logged in. Reports on productivity are made available to both employees and managers in the web dashboard. At the manager’s dashboard, managers can see important metrics on productive time, desk time, break time etc. Unique Feature: Daily activity, sick leaves, vacations, over-time and employee monitoring can all be managed at one place by managers. Where’s my staff uses NFC technique to mark attendance in office or institutes. The method requires an NFC tag that is fixed in the office. Employees can simply pass their phones over the tag after they have downloaded the app. The solution has geolocation feature for on-field staff like sales agents and consultants. Pricing: NFC tags can cost anywhere from $5 to $25. They have three plans of $9.99 per year (for 10 employees) $19.9 per year (for 50 employees) and $49.9 employees (for more than $50 employees). These plans are currently free but will be made chargeable soon. 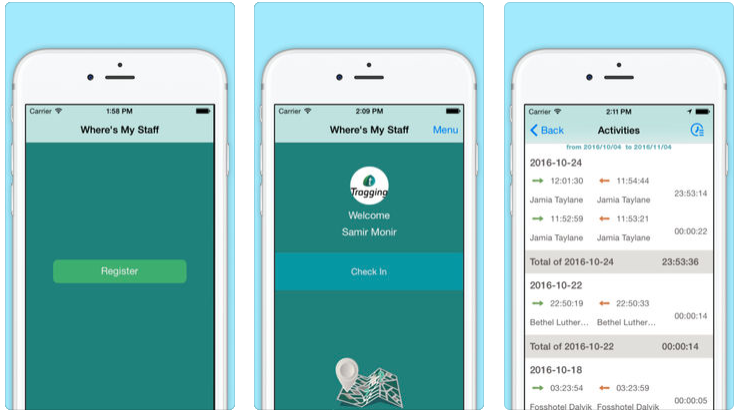 You can find everything from simple attendance app to a comprehensive HR solution package for attendance and time tracking. Needless to say, you will pay more for any services availed in addition to attendance tracking. Almost all providers offer services on cloud so that you can be up and running in a few hours. The difference between vendors is in the technologies and platforms used by them. As we saw, attendance can be marked using WiFi, NFC tags, biometrics, online app punching or portal login. Because each sector has its own unique requirements, many service providers also specialize in industries such as education, health or IT. You should choose your vendor based on ease of implementation and a perfect fit for your requirements.